NEW YORK, NY--(Marketwired - April 06, 2016) - Spherical VR video is tons of fun to use, but creating your own 360° video can be decidedly less so. All that editing and stitching is tough, and there's no way to do it fast enough to share your content live. 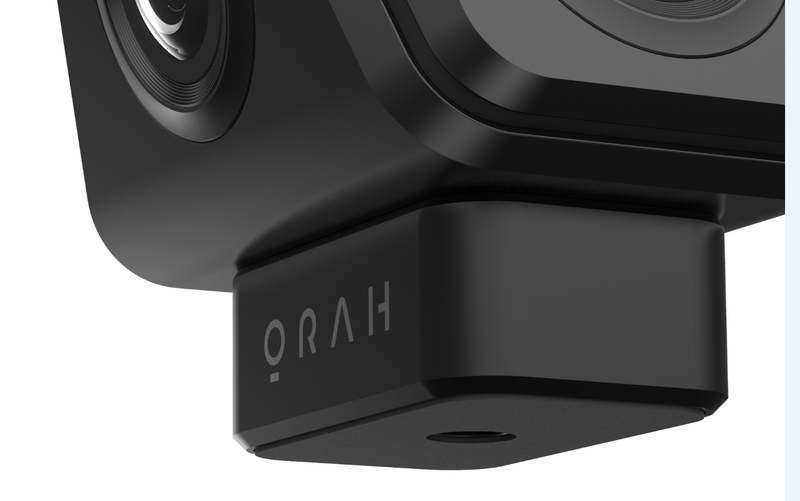 That's why the VR wizards at VideoStitch created the Orah 4i Live Spherical VR Camera. With its easy-to-use design and simple setup, it makes it easy to capture and share immersive multimedia. 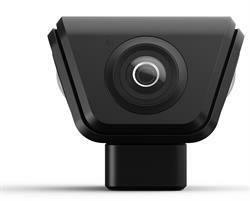 It consists of two units, a camera and a stitching box, which work in concert to record, stitch, and process VR audio and video fast enough for live streaming to viewers across the globe. The diminutive camera itself measures only about three inches on each side. Inside its anodized, precipitation-hardened aluminum body lie four Sony EXMOR sensors and four eight-element multi-coated f2.0 fisheye lenses that send 4K video to a pair of Ambarella video processors. The feed is then transmitted via Ethernet to the stitching box's Intel CPU and NVIDIA GeForce GPU for removal of seamlines, artifacts, and gaps. 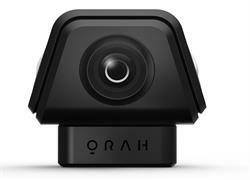 From there, it can be stored on an internal 120GB SSD, or streamed live across the Web. B&H is now taking pre-orders for this new device, ahead of a large-scale launch to the general public planned for later this year. It is available at a special introductory price of $1795 until April 30th, when the price will increase to $3595. As the world's largest source of photography, video and audio equipment, B&H Photo Video is known worldwide for its attentive, knowledgeable sales force and excellent customer service, including fast, reliable shipping. Visitors to the website can access a variety of enlightening articles and educational videos. B&H has been satisfying customers worldwide for 40 years. When you're in Manhattan, take a tour of the B&H Photo Camera Store, located at 420 Ninth Avenue. The expo continues all year round in the camera kiosks at B&H. Featuring the newest cameras, the kiosks are manned by manufacturer representatives, who are there to guide you and demonstrate the latest photographic technology. With hundreds of products on display, the B&H Photo SuperStore is the place to test-drive and compare all the latest photography gear. Inside its anodized, precipitation-hardened aluminum body lie four Sony EXMOR sensors and four eight-element multi-coated f2.0 fisheye lenses that send 4K video to a pair of Ambarella video processors. 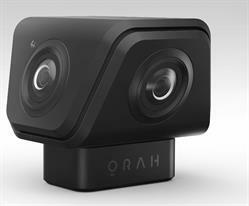 Spherical VR video is tons of fun to use, but creating your own 360° video can be decidedly less so. All that editing and stitching is tough, and there's no way to do it fast enough to share your content live. They may call it the Zeiss VR One Virtual Reality Headset, but you could think of it as a VR viewer for your smartphone. That's because if you have an iPhone 6, a Galaxy S5, or a Galaxy S6, plus the optional mounting tray for your smartphone, and you download compatible apps, this headset can use your smartphone to deliver a Virtual Reality experience. And all the images and sound come from your smartphone, not the headset.